Tired of "Diversity Trainings" that make things worst? Not sure how to reach those who don't get it? Ready to build groups that work colaboratively? We are the leader in workforce diversity and cultural inclusion for Government employees; Police Departments, Human Resource Departments, County Sheriffs, Social Workers, Attorneys, Public Defenders and Educational institutions. We specialize in the best practices in areas of Equity for all, battling Micro-Inequities and increasing Discretionary Effort. We have all been to "DIVERSITY TRAINING" and it was a waste of time. Why? They did not leave you with results. It is very clear that our world needs straight talkers with real answers. So we thank you in advance for the opportunity to help you solve your " diversity" problems. You can catch us live right here. Please see the Coomunity Events & Presentations Calendar, FRIEND US facebook.com/AndreKoen or just check back. These 90 minute-120 minute sessions will reshape how your organization functions. We offer a number of training models, methods and in different modes. We have answers, contact us now. As a kid in Headstart, the son of a Black-panther turned preacher and a youth that could have taken the wrong path, Andre has become a dynamic as a powerful speaker and an effective communicator. Leadership Development: We teach individuals how to be effective leaders, as well as incorporate those leadership skills into the Team concept. 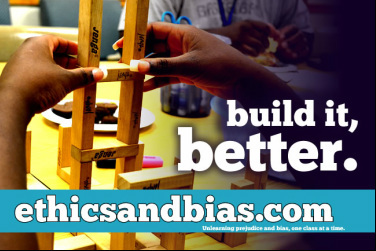 Diversity Education: We help people examine their personal bias and help them create effective strategies to become culturally competent, to eliminate unconscious bias and to become allies. Empowerment Training: We teach individuals to increase their personal power and we train them to be effective in both professional and personal arenas. Our approach initiates change, by shifting the mindset. Are your employees in trouble? Diversity Profile: Do you know where you stand on Diversity & Inclusion issues? You owe it to yourself & your agency Human service professionals tend to spend a lot of time taking care of clients. Sometimes you have to put yourself and your staff first. You owe it to yourself, your staff and your agency. Take a look inside and see what MSSA has to offer. The Leader in Workforce Diversity. Andre is a very effective teacher. He uses a very common sense approach to discuss what could be difficult topics. He is excellent at building on participants' own experiences to reveal not only how some widely held beliefs can hold a community back, but how that same community can overcome them. 1. Briefly describe your company or organization. 2. What’s the #1 challenge your organization needs to overcome? 3. What do you think has kept you from finding a solution to date? Bullying and Cyber-intimidation harm schools and create costly liabilities in our workplaces. We find the best solutions for you both in our facilitated classroom discussion and through our online course. As our workplaces become more complex in ethnic, cultural and learning styles, we can empower employees to communicate and build upon the synergy of their diverse experiences to replace conflict with growth. Changing demographics, aging populations and the diversity mix of our communities makes it ever more important to make sure we are conducting our business in ways that keep people coming back and delighted with us. Why are people poor? People are poor largely for the same reasons as wealthy people. They were taught to be act in accordance to their families disposition. That education,leaves room for people to be re-educated to become more that the sum of their parts. Finite resources, vague goals and limited time are the volatile mixtures that produce conflict. In this workshop, employees learn innovative methods to negotiate conflict productively. Our world continues to change and our social and business networks are becoming increasingly integrated systems. Events in China can enhance or disrupt our daily lives, because we are all interconnected. This session explores the public and private roles we all play and the profitable lessons we can learn from each other. Microinequities and discrimination can undermine workplace and social cooperation. In this session, supervisors and business leaders learn how to minimize unproductive and unprofitable behavior and optimize the discretionary efforts of their employees. Workplaces free of harassment produce employees that are more willing and able to focus on work goals by increasing their personal effectiveness while allowing co-workers to grow. This session explores interpersonal techniques that bypass harassment and empower employee relations to maximize a return on investment.